Across the country high school seniors are preoccupied with what they’ll do next year. They’re busy writing essays, filling out forms, figuring out “scattergrams,” and planning visiting itineraries. On a series of dates through the fall, beginning Saturday, September 27, Wellesley’s Board of Admission offers unique visiting experiences to anyone interested in the College, and on October 19-20 offers an overnight visit for high school seniors. The morning programs, open to all visitors, feature campus tours, information sessions, and student panels. If you're crazy about science, the morning of September 27 is especially for you. Other programs are on Monday, October 13 (Columbus Day) and Saturday, November 15. Morning programs run 8:45 a.m. to 1 p.m. The fall overnight program is just for seniors. It offers everything the morning programs do, plus class visits, cultural events, and the ineffable bonding experience that is a night in a Wellesley residence hall. 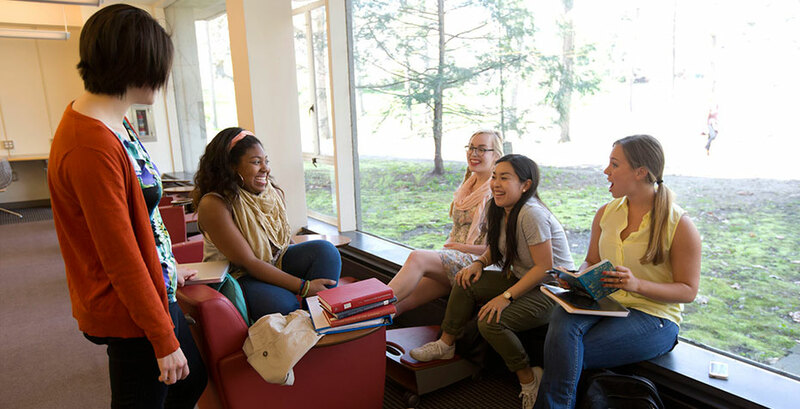 Many students and alums recall their campus visit as a key point in college decision-making, with the Wellesley community’s energy, connectedness, and friendliness winning them over beyond a doubt. Visit the admission pages on the website to learn more about visiting opportunities—and about Wellesley in general. There’s also a Quick College Cost Estimator if you’re wondering if Wellesley is affordable (likely answer: yes), as well as tips on how to survive and even triumph in the application process—even the essay writing.